Of the 38 incidents in San Francisco in 2011 and 2012 when a bicyclist or pedestrian was killed by a motorists, 12 resulted in a criminal charge. Be careful out there on the roads. Or if you're not, and you hit someone with your car, no big deal -- for you. Motorists who strike and kill a pedestrian or bicycle rider in San Francisco have about a 30 percent chance of getting charged with a crime, according to the San Francisco Examiner. Of 38 fatal crashes that involved a car and either a pedestrian or a bicycle in 2011 and 2012, only 12 resulted in someone being charged with a crime, according to the District Attorney's Office. There have been 60 pedestrians killed and seven cyclists killed on San Francisco streets since 2010, the newspaper reported. 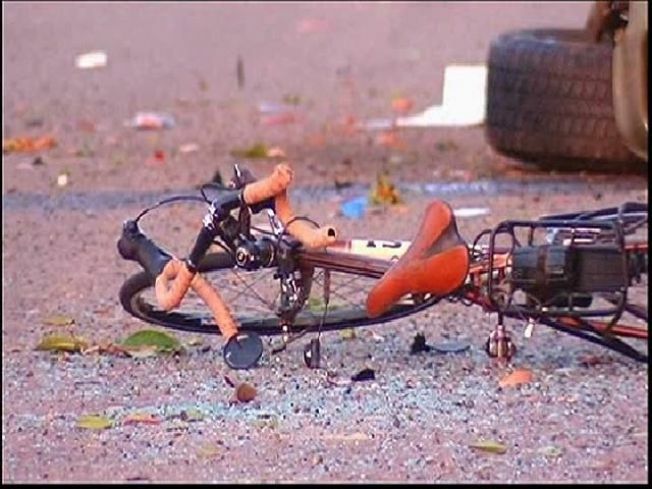 Anger at the police -- who are perceived as enforcing the rules differently for cyclists -- has reached new heights following the August death of a 24-year old woman on Folsom Street, who was struck and killed by a truck while on her bicycle. A video of the incident was not discovered by San Francisco police during an investigation -- and a memorial for the cyclist was interrupted by a police sergeant who suggested the victim was to blame for her death. Police Chief Greg Suhr has apologized for the death, but the San Francisco Bicycle Coalition maintains that they do not receive "fair and equal treatment.